While elaborate centrepieces constructed out of intricately woven flowers and ribbons certainly have their place in the wedding industry, these time-heavy decorations can prove to be a little much for those brides who prefer simplicity or for those who need to keep costs down. Luckily a little creativity can go a long way when it comes to putting together an effective table piece, and it doesn’t have to cost you the earth. 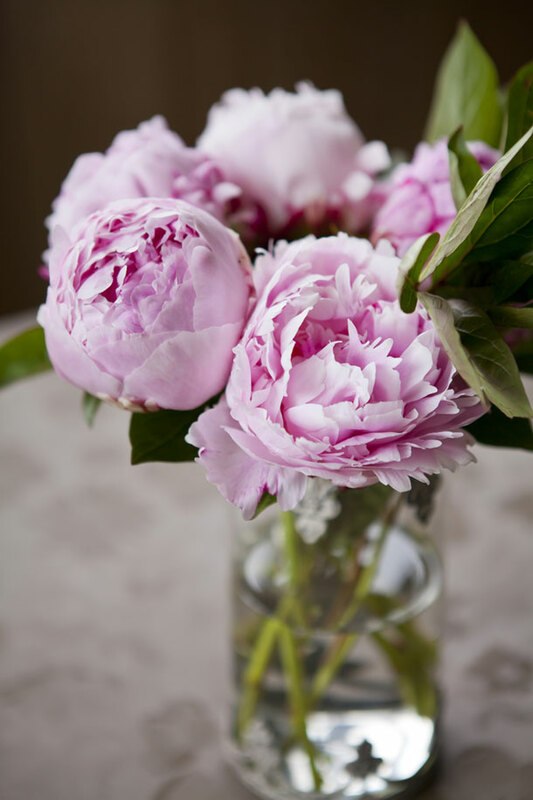 Place peonies in small glasses or vases and scatter them around the tables. Cut the peonies so that they are different lengths so that the effect isn’t too uniform and rigid. If peonies are out of season (or a little too expensive) then ranunculus will work as an excellent alternative as will cabbage roses. A simple mason jar filled with dried flowers and tied off with a piece of twine or raffia makes a lovely table piece for a more rustic wedding. Dried flowers can be quite convenient if flower storage is a problem as you won’t need to worry about wilting and they can also conveniently be purchased long before you need to use them. Pink calla lilies placed inside a fish bowl-type vase make for a subtle but delightful table decoration. Calla lilies also come in many different colours so you are not limited to just pink. White lilies would round off a silver and white themed wedding perfectly. For a quirky vintage wedding placing a few flowers in teacups scattered around the table might work for you. Hire or buy matching teacups or collected mismatched cups from antique and thrift stores and then just pop a little bit of that green stuff (which if I’m not mistaken is actually called “green stuff”) in the bottom before adding a few flowers of your choice. The delicate and intricate detail found in orchid flowers makes for a stunning decoration all on its own. Simply placing an orchid in a nice pot in the middle of the table might be enough for you and you can give them away as gifts to the extra special helpers at the end of the night or you could take them home yourself. You could also decorate each table with a different orchid and name your tables after each specific flower. The possibilities are endless and don’t have to be as complicated as you might think. And if you’re unsure of your table creativity skills? Then delegate my dear. That’s what friends and family are for!